In case you hadn’t noticed, we’re big Robot fans here at the Block. I also happen to be a huge craft/handmade fan therefore a big fan of Etsy. I figured it would be great to combine the two passions into a post, Robot stuff on Etsy. 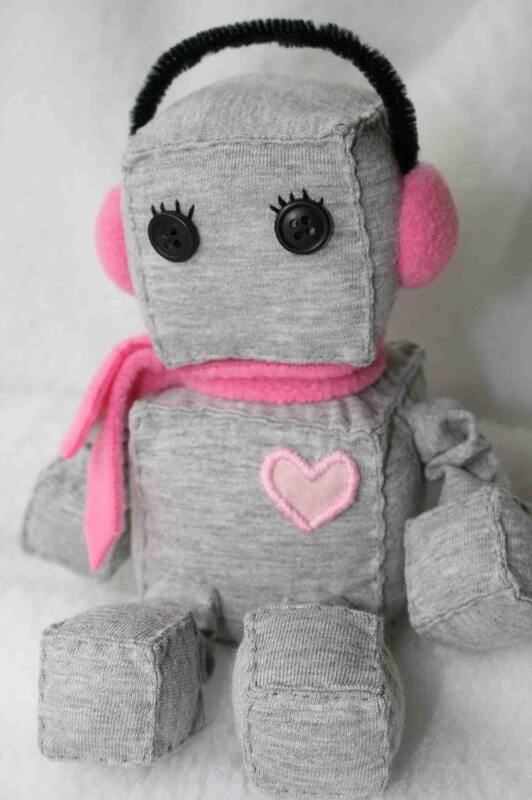 The first thing I’ve found is an adorable hand made Stuffed Robot made by Littlebrownbyrd. At $25 this little hand crafted gem is a total adorable bargain. This particular bot has been lovingly made a reserved for a specific person but Littlebrownbyrd will handcraft a personalized robot just for you. I’m thinking about it. They’re just so darn cute. Robots with pink earmuffs are the cutest! earmuffs definitely add a +3 to the cute factor.